I have just picked up a book which has been in my ‘to read’ pile for a little while. It was published in 2012: ‘The Great Divide: History and Human Nature in the Old World and the New’ by Peter Watson. Picking it up this evening, I had not got further than the second page of the Author’s Note when I had a question. He starts by describing the criticism surrounding an exhibition about the Aztec ruler Montezuma (or Moctezuma) at the British Museum in 2009. He continues ‘………After all, there is no getting away from the fact that it was the Europeans who sailed westward and ‘discovered’ the Americas and not the other way round….’. Is this true? It took me straight back to a trip we made to Tenerife in 2008. Not content with lying on the beaches, we were exploring the area and came across some interesting constructions which closely resembled Central American step pyramids. 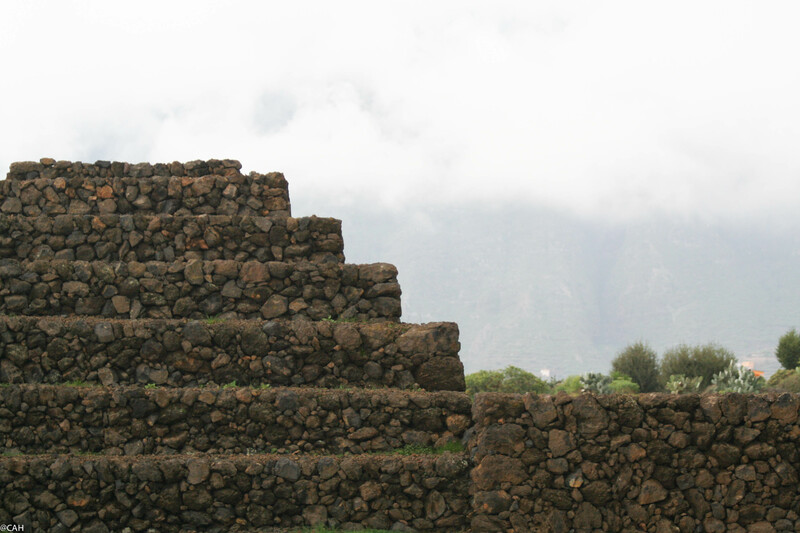 We learnt that Thor Heyerdahl had retired to Tenerife and was very interested in these structures and the possibility that the Mayans or other central American people had crossed the Atlantic and built them. I have also read about early Chinese exploration and the probability that they crossed the Pacific and discovered the Americas long before Columbus. I understand that there is also a theory that the Vikings may had discovered the Atlantic American coast long before Columbus. It will be interesting to see how Watson (if he does) deals with this in his book. He seems to want to focus on the differences.